A Los Angeles Times columnist faced criticism this week after his latest piece took aim at the White House press secretary's physical appearance. Two-time Pulitzer Prize-winning journalist David Horsey centered his latest column, "Sarah Huckabee Sanders is the right mouthpiece for a truth-twisting president," on the press secretary's status as a "pro" at delivering the Trump administration's message to the press corps and extended media. While Horsey's column eventually addresses both Sanders' strengths in the role and the differences between Sanders and former podium poster boy Sean Spicer -- the column starts with rhetoric that many are slamming as sexist and misogynistic. 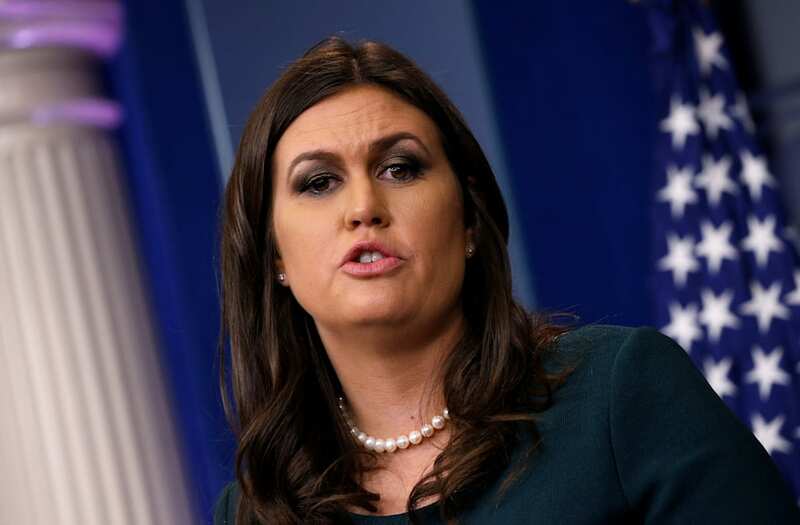 "...Sanders looks more like a slightly chunky soccer mom who organizes snacks for the kids’ games," Horsey states, after describing the physical features of daughter Ivanka Trump and first lady Melania Trump. "Rather than the fake eyelashes and formal dresses she puts on for news briefings, Sanders seems as if she’d be more comfortable in sweats and running shoes." David Horsey compares Sarah Huckabee Sanders to a "slightly chunky soccer mom"
@latimes @davidhorsey @latimes this is gross. signed, a "slightly chunky soccer mom"
Social media was quick to jump on this commentary from the esteemed newspaper, with some even calling for Horsey's removal from his job. "There’s a difference between being progressive and being partisan," Addy Baird says of the piece for ThinkProgress. "Horsey, helping no one, serving no morally just cause, is leaning into the latter." Breitbart, who often takes any opportunity to slam the so-called mainstream media, also published a piece on Horsey's column. Aside from more long-form commentary of Horsey's physical description of Sanders, Twitter was ripe with many hot takes in reaction to the piece. Sanders has served as the White House press secretary since July 2017 and is the third woman ever to hold the executive office title.